CARBONDALE, Ill. (WLS) -- A new poll shows that the majority of Illinois voters support legalizing marijuana in the state, a step that has recently been introduced into the General Assembly through bills in the House and Senate. The poll from the Southern Illinois University - Carbondale Paul Simon Public Policy Institute found 74.4 percent of Illinoisans support recreational marijuana legalization, 21 percent oppose it, and 4.6 percent either didn't know or refused to answer. In Chicago, 80 percent of voters support or strongly support decriminalization, and 79 percent of suburban Cook and collar counties support or strongly support decriminalization. Outside Cook and collar counties, 63 percent are in favor. Opposition in Chicago is at 16 percent, at 17 percent in Cook and collar counties and 31 percent in the rest of the state. Recreational legalization - in which marijuana would be taxed and regulated in the same manner of alcohol - was supported or strongly supported by 74 percent of voters. In suburban Cook and collar counties, 70 percent of voters supported legalization, and in the rest of Illinois 54 percent of voters supported legalization. Opposition or strong opposition was at 22 percent in Chicago, 27 percent in suburban Cook and collar counties and 43 percent in the rest of the state. The Simon Institute said it collected data from live telephone interviews with registered voters and collected between March 4 and March 11. The sample group was 51 percent male, 49 percent female and were split into four age groups: under 35, 35 to 50 years old, 51 to 65 years old and 66 and older. 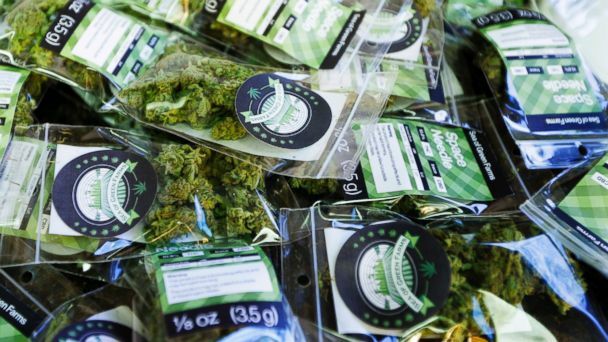 Support for recreational legalization was highest among voters younger than 35 at 83 percent. State Rep. Kelly Cassidy and State Senator Heather Steans introduced identical pieces of legislation into both chambers of the General Assembly on March 22. Both said the tax revenue from recreational marijuana could help with the state's budget deficit. The bills are SB316 and HB2353.